This EA is a full automatic trading system (set and forget). It uses a dynamic grid based on price movements, it uses some of Buddy Ilan's algorithms, but it is more flexible, it does not use fixed Stop Loss, but Stop Losses attached to the supports / resistances - If a large support or resistance is broken, it closes opposite positions. An Heiken Ashi indicator in ticks is used to determine the best time to open the positions. This makes it a reliable EA, its DD remains very low. 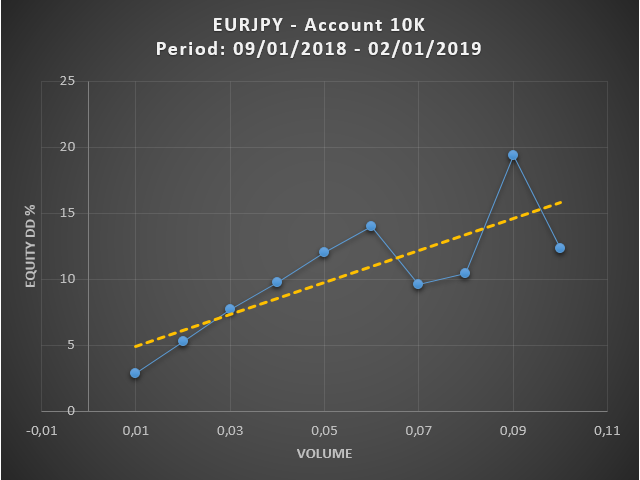 As you can see from the graphs below, profits increase linearly with volume, which makes sense. 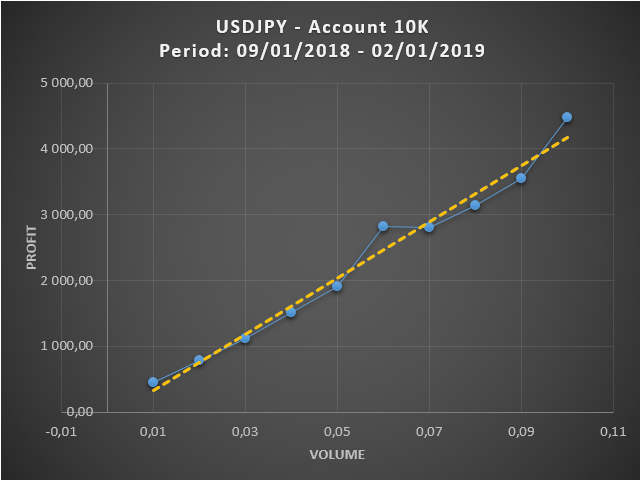 Unfortunately, the DD also grows linearly (sometimes in a more chaotic way) with volume. 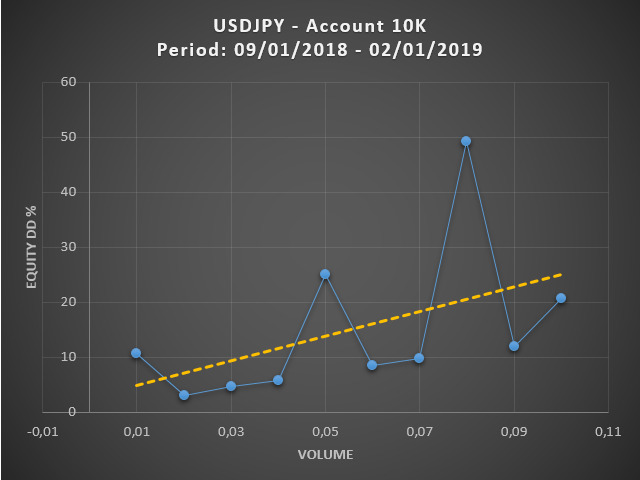 Then, we see that beyond an initial volume of 0.05 lots for a 10K account, trading becomes very risky. So we will only trade in this security zone. Of course, an account with a leverage of 100 to 200 is to be prefered. 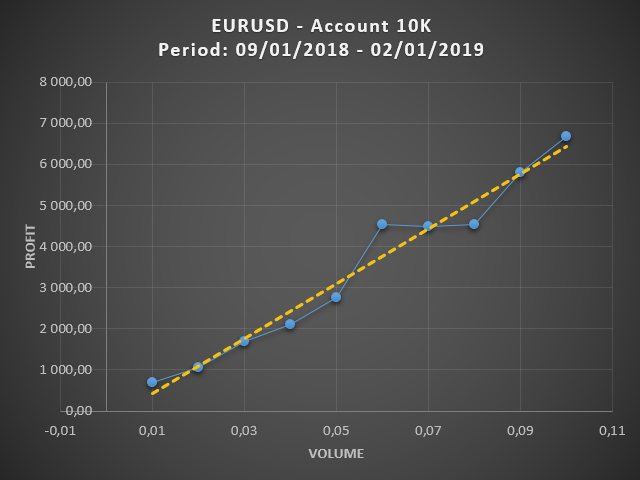 This EA does not need regular optimization, just set the best Martingale leg for each currency (do not use a leg too low - minimum value: between 50 and 100) and the coefficient of the martingale (be careful, with a value too low, the EA will have difficulty closing positions, a value too high risk of increasing the DD). 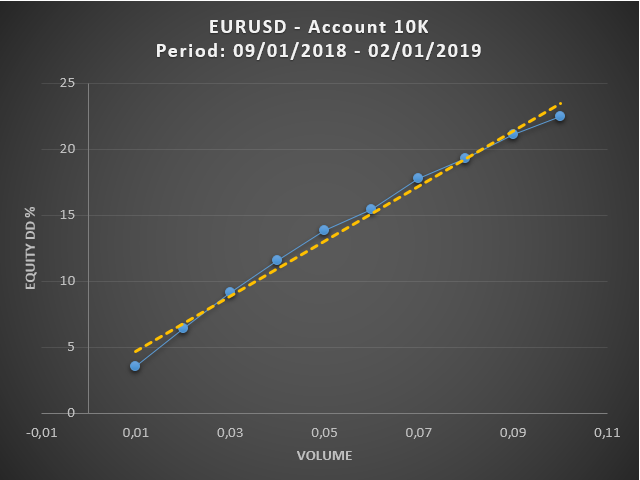 For a 5k account, you can use 4 currencies with an initial volume of 0.02 (safe trading) or 0.03 for a more aggressive trading. 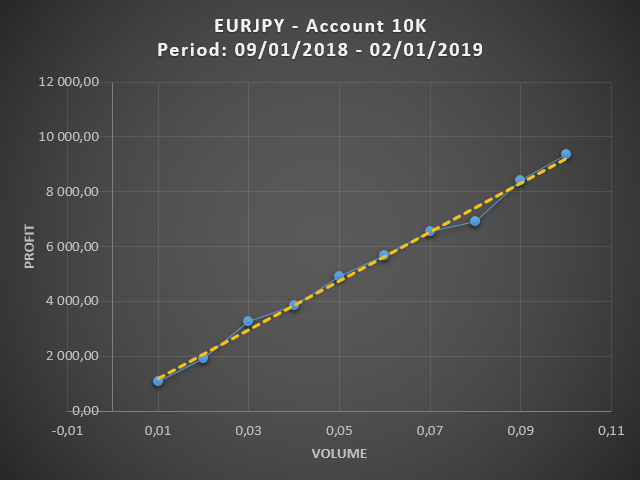 For a 10k account, you can use between 4 and 6 currencies and an initial volume of 0.03 to 0.05.